“All systems have to define their own context. Culture and ownership is key. On October 30, more than 300 district leaders from across Colorado gathered at the Graduation Guidelines Summit at the Adams 12 Conference Center, to discuss how to adapt Colorado’s graduation guidelines with gusto. The event focused on strategies for engaging students at a deeper level, resulting in graduates who are ready to successfully enter college, the workforce, and other postsecondary endeavors. "Designing and delivering education that ignites this potential and guides all of our students to learn how to think, problem-solve and work collaboratively is education’s greatest challenge and opportunity." Ask most anyone and they’ll agree today’s world is not like it was 10, 25 or 50 years ago. And the future? It will change in greater degrees, in ways we cannot begin to predict. Those of us invested in education are then left with the question of how to prepare the next generation for a future we cannot see. The answer is by fostering the skills that empower students to be active learners. The 21st Century Geography and World History class taught by Christina Classen at Thomas B. Doherty High School reflects everything that Classen’s own high school experience was not. In fact, she had no interest in becoming a teacher because of her experience. Now she is modeling best practices for putting students at the center of their own learning. 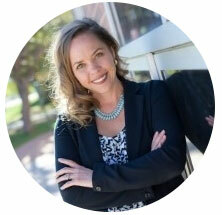 Learn about her journey in this in-depth article from Next Generation Learning Challenges. Get on Board with Smart Source – Receive $150! 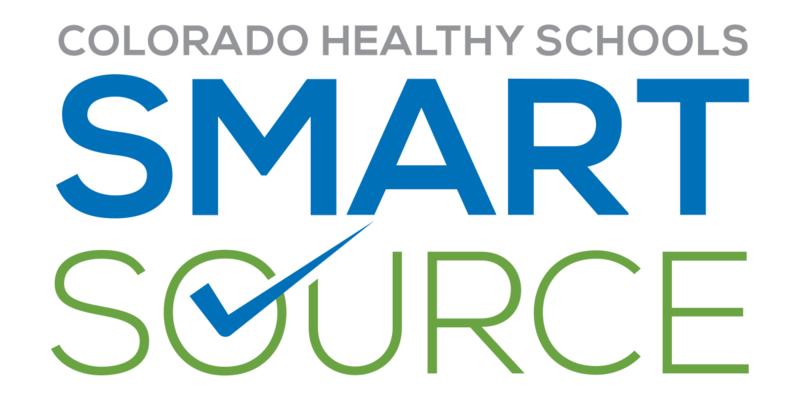 Don't miss your chance to participate in Smart Source, Colorado’s school health inventory! Smart Source has provided relevant data to improve health efforts within over 500 school communities to date. The survey provides insight related to regional and state wellness efforts – valuable information for school and health partners as they allocate resources to schools and districts. Schools receive $150 for their participation in Smart Source. A school-specific report is provided within one week of Smart Source submission, and a comprehensive report with district, regional, and state comparisons follows in February 2018. Free data use trainings via webinars and in-person sessions will be available next spring. Healthy School Champions Application is Now Open! The Healthy School Champions program recognizes Colorado schools and small districts that have excelled at comprehensively addressing health and wellness by embedding it in their culture and systems to support student learning. With the support of The Colorado Health Foundation, 40 K-12 public schools will be honored, receiving awards from $300 to $7,500. The application deadline is February 23, 2018. Learn more here. Plan now to make a donation on Colorado Gives Day that will directly benefit teachers. CEI proceeds from Colorado Gives Day will be deposited directly into the Design Challenge Prize Fund, created specifically for on-the-spot funding at CEI’s 2018 Design Challenges. CEI is connecting people, passion, and possibilities with 2018 Design Challenges. These workshops bring together teachers and business professionals who share a common passion — creating authentic and relevant classroom experiences for students. 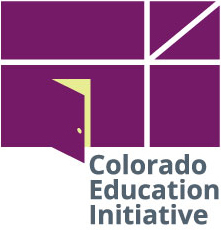 Today’s students are ready for inspiring instruction, and CEI believes Colorado’s teachers deserve support to design and deliver the lessons that will produce the agile, ingenious workforce of tomorrow. These workshops also provide Colorado’s business community with a chance to share their experience and business savvy with educators who are eager to design innovative ways for kids to explore their unique talents. 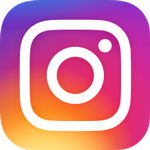 Follow this link to support teachers and their great ideas! The Colorado Gives Day $1 Million Incentive Fund, created by Community First Foundation and FirstBank, increases the value of every dollar donated in proportion to contribution totals. CompetencyWorks has released an in-depth look at the core of student-centered learning, titled Quality and Equity by Design: Charting the Course for the Next Phase of Competency-Based Education. This resource for K-12 educators explores four key issues related to the development and sustainability of competency-based and personalized learning: equity, quality, meeting students where they are, and policy. The report is a culmination of ideas from many leaders advancing competency education across the country, and seeks to advance high-quality competency-based models. CompetencyWorks and iNACOL will host a webinar highlighting insights from the report on Nov. 8 from 12-1 p.m. MT. Learn more and register here. 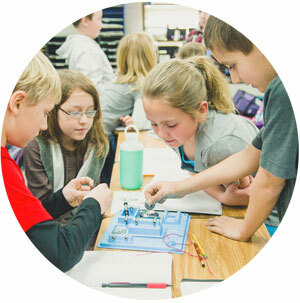 CenturyLink has relaunched its annual Teachers and Technology Grants program. Teachers in PreK-12 classrooms in public, private and/or charter schools in CenturyLink local service areas are eligible to apply for a grant of up to $5,000 to implement creative technology solutions in the classroom. The application deadline is Jan.12, 2018. Learn more and apply online. retool this channel to make it more effective and relevant.